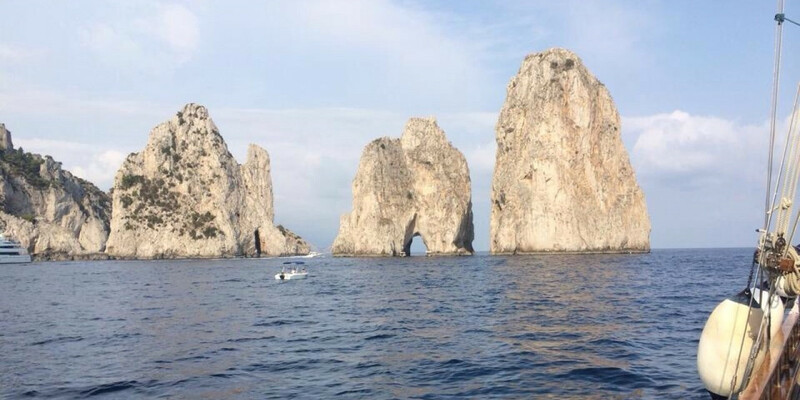 A beautiful Capri boat tour is the best way to explore this wonderful island of limestone origin, the "blue" island, the pearl of the Campanian archipelago, famous all over the world. 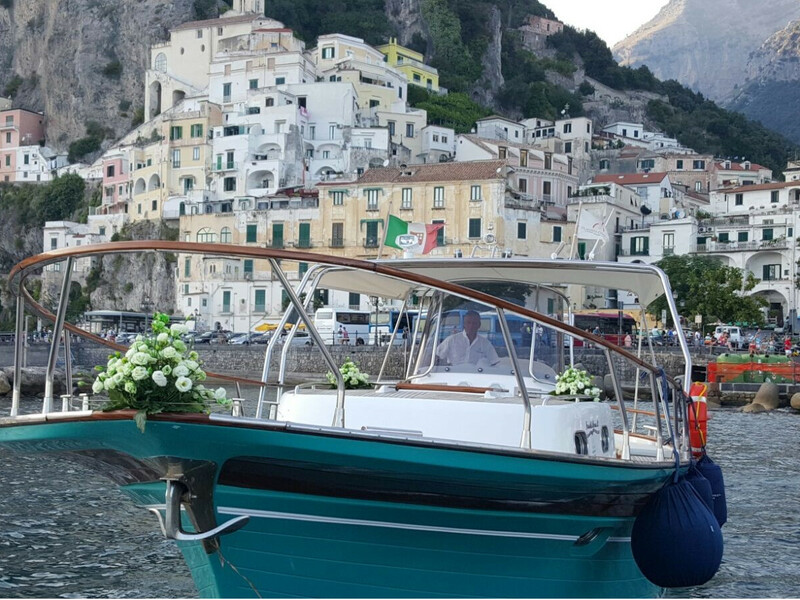 With “L’Uomo e il Mare”, experts in boat tours to Capri from Positano for many years, your tour will be the one you've always dreamed of! The Isle of Capri is a living fairy tale, not just for its wild nature and the spectacular views it gives to attentive visitors, but also for the incredible atmosphere that one can breathe and the amazing freshness that one can find in every angle. Although it is a land that has been visited since Roman times, even Augustus and Tiberius chose it as a refuge, it is also the favourite holiday destination of VIPs from all over the world, who have often chosen to buy a house and live here. With our boat excursion to Capri you will discover the most scenic spots, famous and photographed, but you will also enjoy the unexpected beauty of hidden spots which are unexplored, small coves where we can stop for a swim in the outstanding cobalt blue waters! On board you will be offered some prosecco and typical cakes and then lots of music and guaranteed fun! Cold drinks (alcoholic and non-alcoholic), sweet snacks, custom beach towels, masks, noodles. Sun cream if you need. • We sail to Capri and cross the Pass of Tiberius. • Arrival at the port of Marina Grande in Capri. 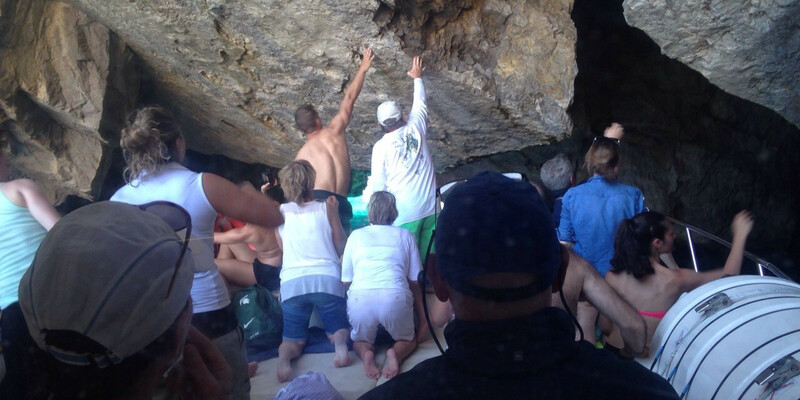 • Departure and complete tour of the Island with a stop at the Blue Grotto and optional visit, fee required (weather permitting). 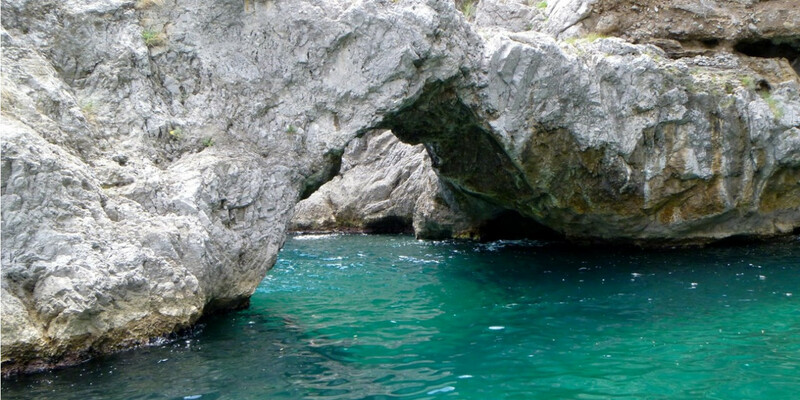 • Navigation and route to the Green Cave with its beautiful emerald green waters. 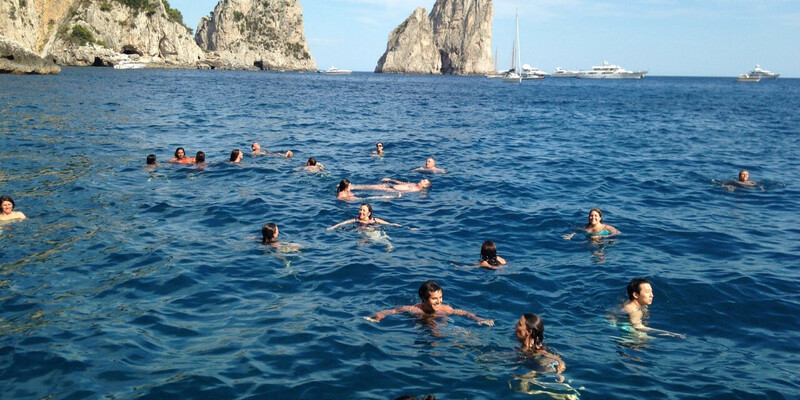 • Stop in one of the many bays of Capri and swim in the beautiful cool and crystal clear waters. 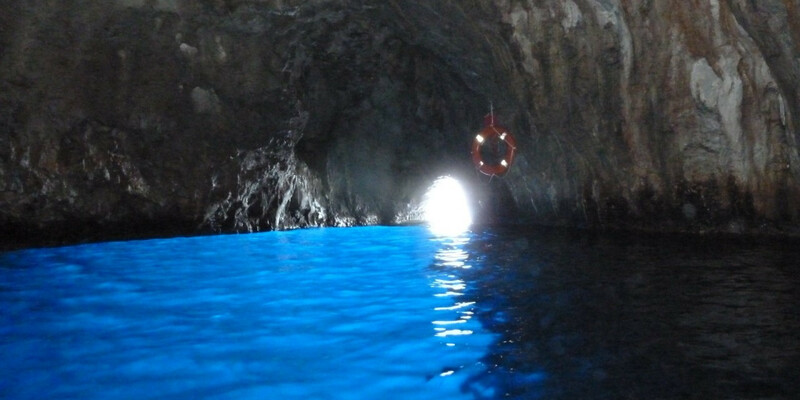 • Crossing of the Faraglioni (The magic guardians of Capri), the White Cave, Villa Malaparte and the Natural Arch. • Stop at a scenic spot with a tasting of typical cakes and Prosecco. • Return to the port of embarkation in the late afternoon. 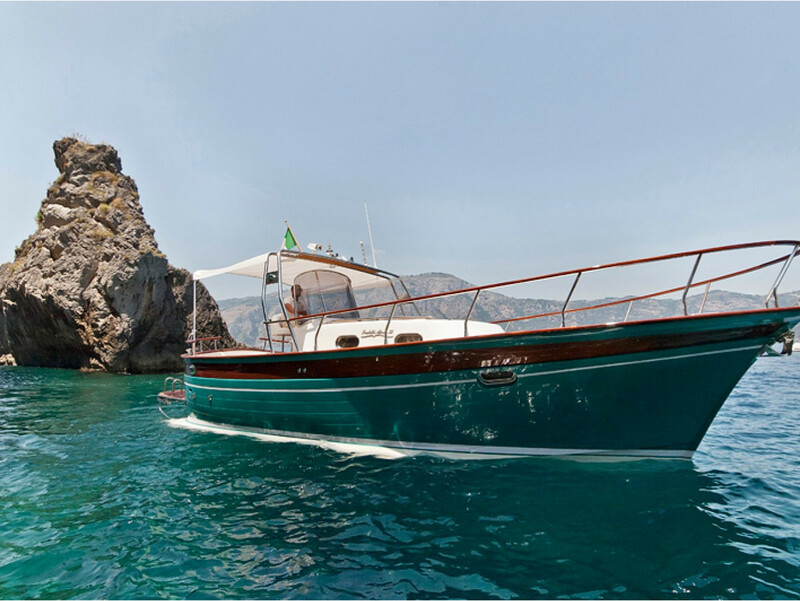 Would you like more information about our boat tour to Capri? Fill in the form. We are at your complete disposal.